Guinness World Records has announced that Egyptian diver Ahmed Gabr has broken the world record for the deepest salt water scuba dive at 332.35 meters. Gabr, a retired military officer, had aimed to break the previous record held by South African Nuno Gomez at 318.25 meters. Entering the water off the coast of Dahab at 10:30AM, Gabr emerged as the new title holder 14 hours later when he exited the water shortly after midnight at 12:20AM. According to Gabr’s blog before the event, the deep water dive would have seen him consume 90 oxygen tanks. While Gabr had aimed for a depth of 350 meters, his team expressed gratitude for the support and happiness for managing to break the record. 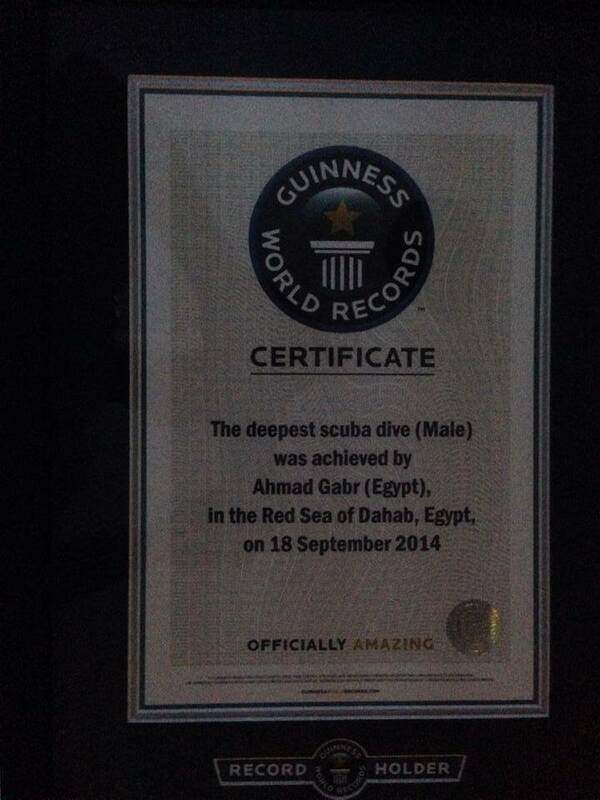 The Guinness World Records certificate awarded to Ahmed Gabr for the deepest scuba dive (Male). The event, which was attended by crowds of supporters, had been planned by Gabr and his team at H2O Divers diving centre in Dahab for two years. 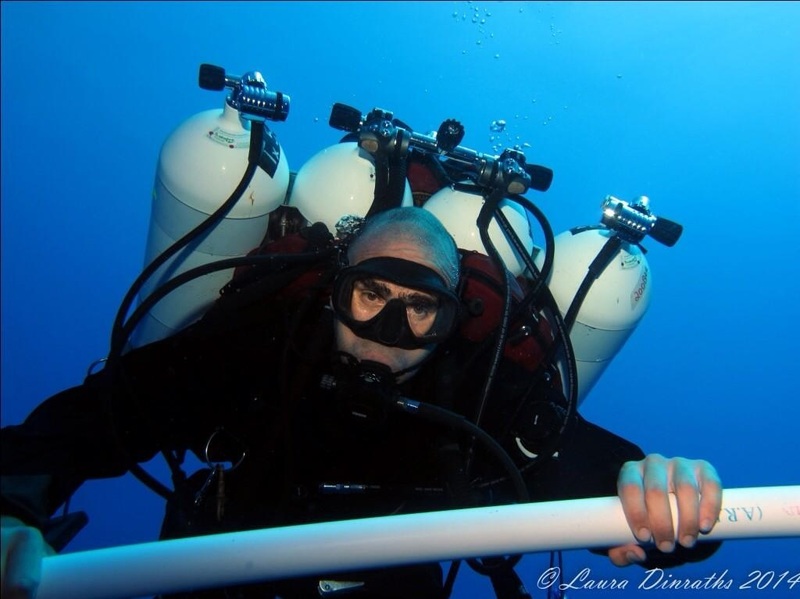 Gabr, who commenced his diving career at the age of 18, graduated from Egypt’s Military Academy in 1994 and was part of the Special Forces before earning a scholarship to enrol in the United States Army Combat Diver course.